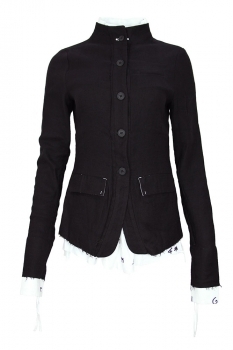 Pal Offner black, round neck collar, fitted jacket 'Layer Jacket' with built in shirt. 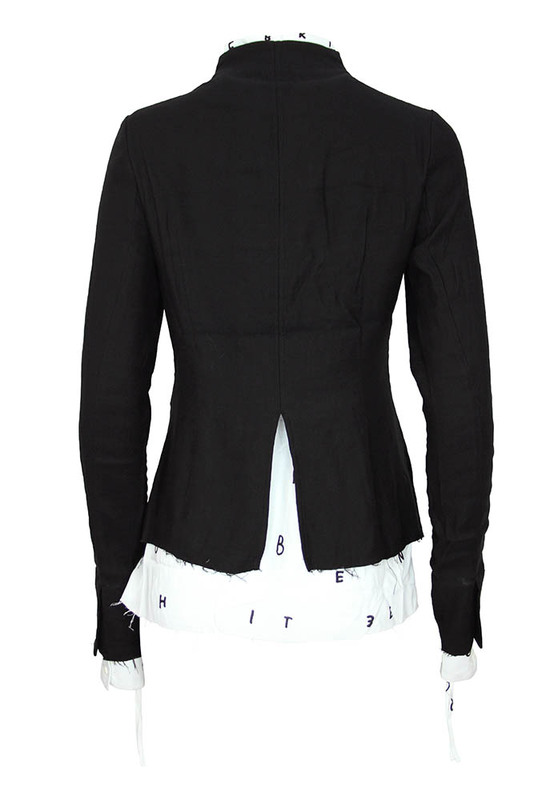 5 button fastening. 1 chest pocket and 2 pockets with flaps with white stitch detail and white print fabric lining. 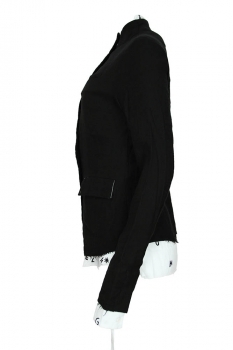 Raw edged hem on outer jacket. Single vent at rear. Raw edged cuffs with flap detail. The inner layer is white with black print lettering and is basically a shirt. 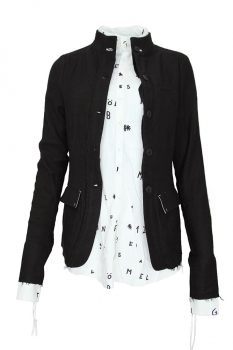 This extends below the jacket, with raw edges and 2 lengths. The inner shirt sleeves cuffs extend beyond the outer layer sleeves. The cuffs are doubled fabric white with black text print and fabric drawstring to ruche the sleeves. A wonderful piece of clothing quite superb!